The Toubkal National Park Eco Museum and Visitor Center is located directly across from Kasbah Tamadot (Branson’s place) on the road into Imlil from Marrakech. Keep your eyes peeled, or you may miss the entrance. This should be your first stop when visiting the Imlil area – especially if you’re planning any hikes or nature walks! Though it’s a small museum it’s packed with information and the interactive display mean the kids won’t get bored either. For opening hours and more information, please visit their official site, here. The Society for the Protection of Animals Abroad has done much work in Imlil Valley to remove the painful traditional “Berber” bit through a swap-out program for a new stainless steel bit. It’s SPANA‘s mission to educate tourists and locals alike about proper working conditions and treatment of animals. Visit their site for a quick guide to animal wellness for your holidays. About Education For All Morocco from Education For All Morocco on Vimeo. Not every girl in Morocco is guaranteed the chance of completing university. Thanks to Education For All that’s not the case for nearly 200 girls from the High Atlas Mountains. Though visits to the boarding houses are not available to the public (in the interest of privacy and safety for the girls unless you are thinking of becoming a donor in which case please contact us) there are several ways to support this wonderful cause, including volunteer positions. 1) Volunteer. Positions are available for as little as two months up to a whole year. Native English and French speakers are preferred as this helps the girls in their studies. Follow this link to learn more about the volunteer programs. 2) Donate. There are options to financially adopt a girl for 1,000 Euro per year. Smaller donations also help tremendously. For instance, when asked what’s on their “wish list” answers range from backpacks and notebooks to hiking boots and warm clothes. If you’d like to sponsor just one girl’s backpack for a year you can do this too by donating online or in person at the Kasbah du Toubkal Office. 3) Spread the Word. Maybe you’re not in a position to volunteer time or funds, but most have social media accounts. By being a social sponsor and sharing updates, donation drives, and the joy and success of the program you’re greatly contributing to the girls future. Share the below video and this website to spread the word. You never know who has the ability to help. The perfect day trip for animal lovers in Marrakech, Jarjeer Mules is a retirement home for mules, donkeys, and other equines who’ve faithfully worked and finally get a sweet home to live out the end of their days. They’re also an orphanage so there are babies to be seen as well! Jarjeer Mules often winds up with mules who have lived out their lives serving tourists in the High Atlas area, including Imlil. Once they are unable to make these steep and treacherous climbs any longer, they are then sold to work in Marrakech, often in sad circumstances. Make your plans to visit Jarjeer Mules and support a compassionate cause right in Marrakech; your visit will leave you with a huge smile on your face. 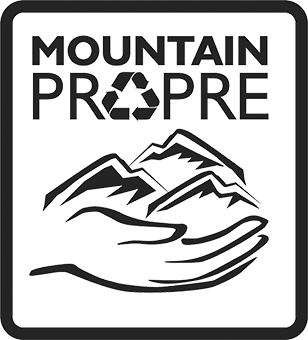 Mountain Propre spearheads the education around environmental preservation as well as organizes waste collection events that have removed over 1000 kilos of trash from the Imlil Valley. To find out how you can join in their efforts, please check their site. The Moroccan Charter of Sustainable Tourism is built on the four fundamental principles of environmental protection, the perpetuation of culture and heritage, prioritization of local development and host communities, and the adoption of ethical principles and social responsibility. Follow them here for updates on the latest endeavors and action!